Team WebClicks want to thank everyone who came to our event at Biercab doing the Mobile World Congress in Barcelona. 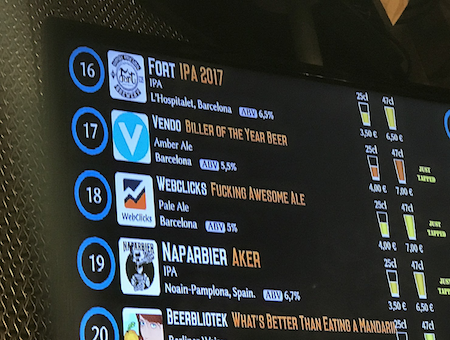 The event was a great success and our F…… Awesome Ale was a popular beer choice among the participants. And our VP of Sales Brad Zarich had a chance to give everyone a glimpse into what we have been working on the last few months. After some hectic days in Barcelona, Team WebClicks went to The European Summit in Sitges. Where we had a chance to meet many old friends and business associates, but we also had a chance to meet a lot of people we have been working with for years for the first time. Finally we had a lot of interesting people come by our table for a chat, and all in all we had a very positive experience. So we want to give thanks to everyone who helped make these two shows very successful for WebClicks. 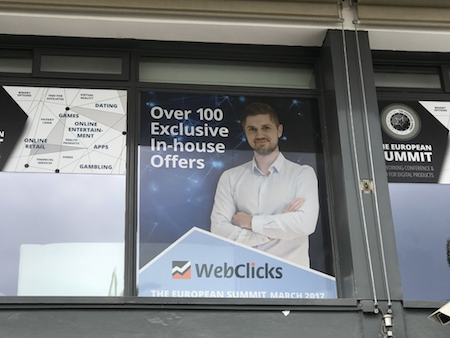 Next stop on our show calendar will be Eurowebtaintment in Mallorca, where you can meet WebClicks at our table or around the show.